Getty Images via ABCRihanna graced fans with her presence Tuesday: she made a personal appearance on second day of her Puma x Fenty pop-up shop event in Los Angeles. There, attendees had the chance to snag their own pair of red-hot FENTYxPUMA Bow Creeper sandals. Earlier that day, both the “Diamonds” singer and the sneaker brand revealed the address for the special occasion on social media. According to Billboard, the singer gave fans a first-person account of her arrival to the affair — via livestream video on Instagram — which included RiRi and pals jamming to Kendrick Lamar‘s new hit album DAMN. 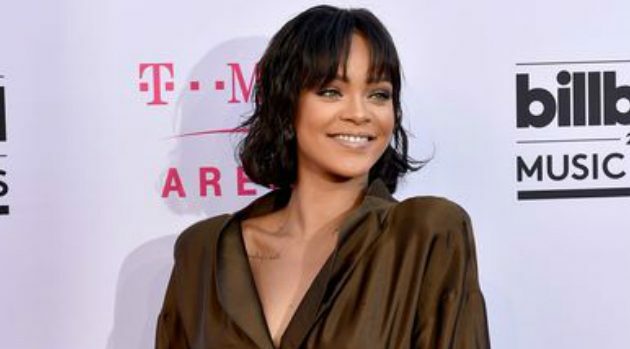 Rih made the special event one to remember for shoppers by signing autographs, posing for pictures and handing out bags at the cash register. Next month, RiRi will debut a high-end jewelry collection — a partnership with Chopard — at the Cannes Film Festival.